A comprehensive step-by-step guide, which covers all aspects of selecting and managing contractors. Are your contract manufacturers getting you in trouble? Problems with a contract manufacturer or lab can emerge in dozens of unexpected places. From changes in personnel or equipment to faulty SOPs and training, the list can seem impossible to tame. 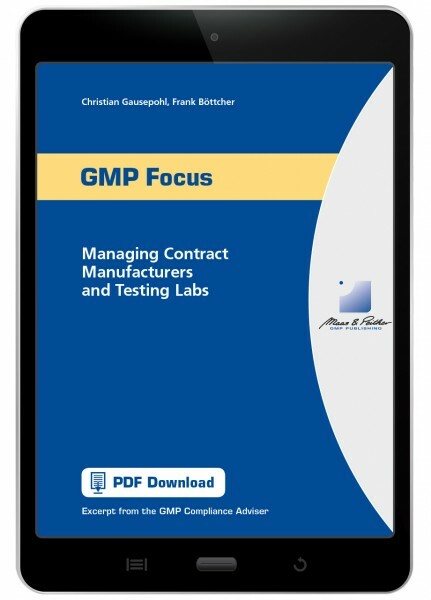 If you’re just starting to outsource, or already managing contracted services, this report will help you make sure your contracted manufacturers and testing facilities are operating in compliance with the FDA and EU GMP principles, and most of all, your own high standards.